Sarawak’s logging companies have created a road network 88,111 km long in the Malaysian state’s rainforest – this is the latest revelation on the Bruno Manser Fund’s Sarawak Geoportal. (BASEL, SWITZERLAND / SARAWAK, MALAYSIA) The Malaysian state of Sarawak is known for its unsustainable logging practices. Most of its pristine forests have been destroyed, and today only 11 per cent of Sarawak’s surface area is still covered by primary forest. New data published by the Bruno Manser Fund shows that the state’s primary logging roads have a combined length of 88,111 km. This is equivalent to more than twice the Earth’s circumference of 40,075 km. 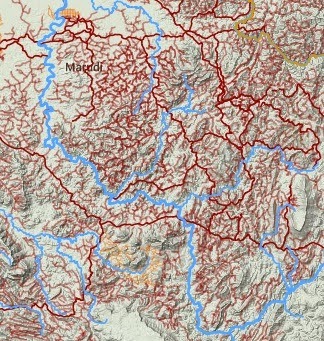 The logging road data has been derived from satellite images and is posted on the Bruno Manser Fund’s Sarawak Geoportal. Only the primary logging roads and primary plantation roads have been taken into account. These roads are typically all-weather gravel roads and constitute part of the permanent road system. The secondary roads and skid trails have not been surveyed. Even the figure of 88,111 km for primary logging roads is rather a conservative approximation. 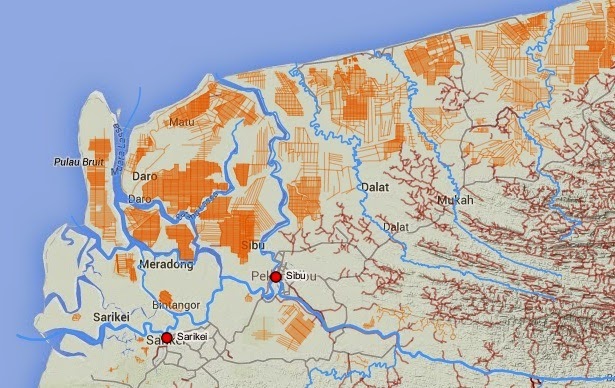 The Geoportal map shows a tightly meshed network of logging roads and highlights just how far deforestation has gone in Sarawak. It proves that the government is wrong when it claims that 84 per cent of the state still remains forested. A new study (Gaveau et al. 2014) concludes that Sarawak has the highest density of logging roads on Borneo, and the density is also very high by international standards. Furthermore, the researchers also found that deforestation on Borneo is proceeding at twice the rate seen in the rest of the world’s tropical forests. plantations is available on the Bruno Manser Fund’s Sarawak Geoportal. 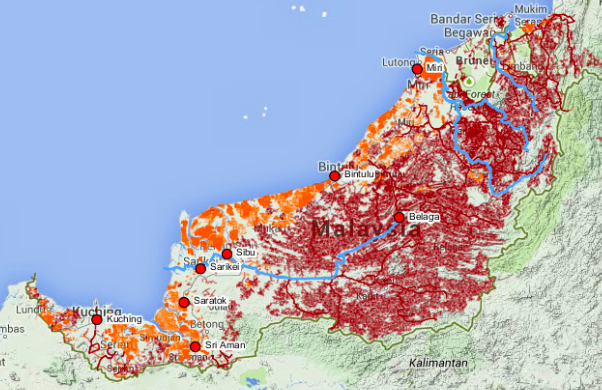 The Sarawak Geoportal is an interactive web database, which was launched earlier this year by the Bruno Manser Fund in order to challenge the Sarawak state government’s secretive dealings by setting out key land-use information. It not only provides information on deforestation but, inter alia, on indigenous culture and politics too.